Find the best prices around on all of these fantastic saxophones, view our wide range of merchandise including all of the best brands such as Yamaha, Jupiter, Yanagisawa, Keliwerth. Find the perfect saxophone for all of your musical needs search by type including Alto saxophones, Bass, Tenor, Baritone and many more. We do much more than just sell discount saxophones, we offer impartial advice on all of the products and the best places to buy saxophones for you to find which one suits you at the best price. Get the latest information on all of saxophones, find the best brands and read customer reviews to all you to find exactly what you want out of a saxophone. On the 10th Anniversary of their introduction, the Custom Z saxophones have been reexamined from neck to bell. They now offer the ultimate combination of expressiveness, response and control while staying true to their free-spirited origins. Since the Custom Z was developed in 2003, the technology, craftsmanship and specifications of the Custom Z series have continued to improve to fulfill the needs of the highest level musicians. The new Yamaha YAS-82ZII alto saxophone is an ultimate horn for the working professional. 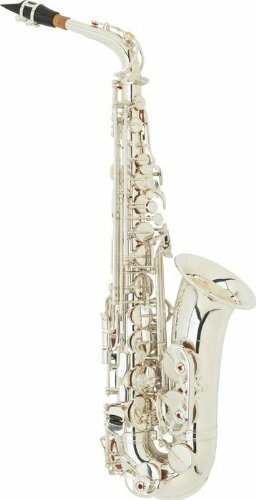 The list of new features is impressive.One-piece bell with new engravingIn the tradition of those coveted vintage saxophones, the 82Z now comes equipped with a one-piece bell! This feature drastically improves low end response and offers the player a wider palette of tonal color. More elaborate with finer detail, the new engraving design offers delicate beauty.Metal ResonatorsDomed metal resonators offer an outstanding response and deliver a wider dynamic range. The entire range of the instrument has a clearer pronunciation, providing effortless playability all around.V1 neckThe wide bore taper of the V1 neck provides offers a free-blowing feel and the greatest possible flexibility. This combination of features allows the player the ultimate level of tonal expression.Improved Low B-C# connectionAn improved mechanism from low B to C# ensures a proper seal for these notes which promotes a clear response throughout the low range of the instrument.Lighter thumb hook and thumb rest basesLighter thumb rest and thumb hook base designs produce better response and a more cohesive tone.Adjustable Front F keyAn adjustable Front F mechanism gives the player the freedom to find the optimal level of resistance in the altissimo range.Z Style CaseThe 82Z saxophones come in slim, lightweight cases which provide excellent protection. A convenient shoulder strap is also included.The best Yamaha Custom Z Alto Sax to date! Course: MACH Project and Orchestra - No Course fee!! !